Often described as “dirty snowballs,” these visitors arrive from the outer solar system. 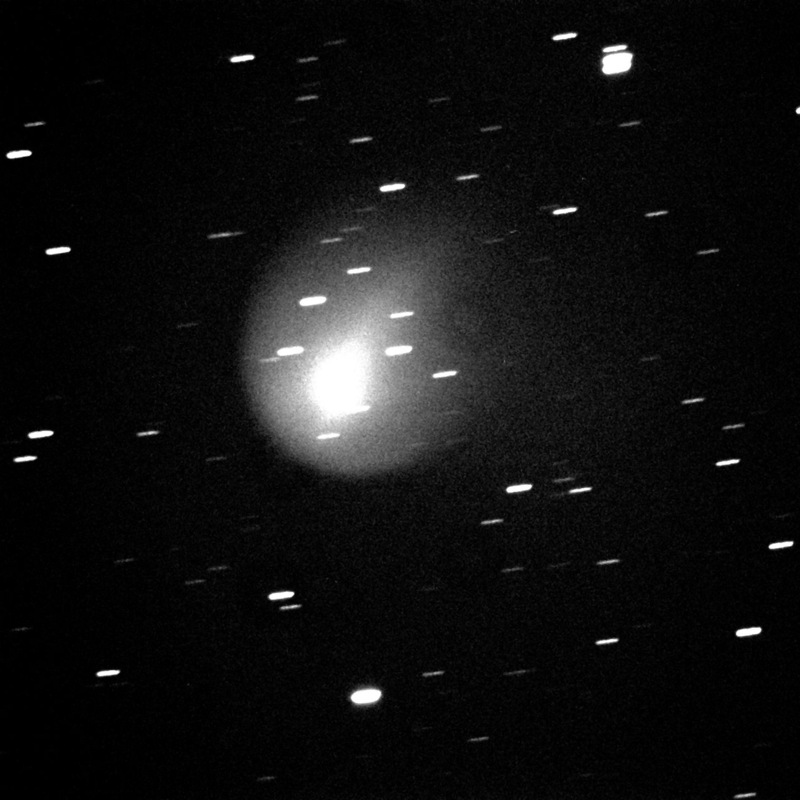 All develop a “coma” of gas and dust around the small nucleus, and some develop a noticeable tail. 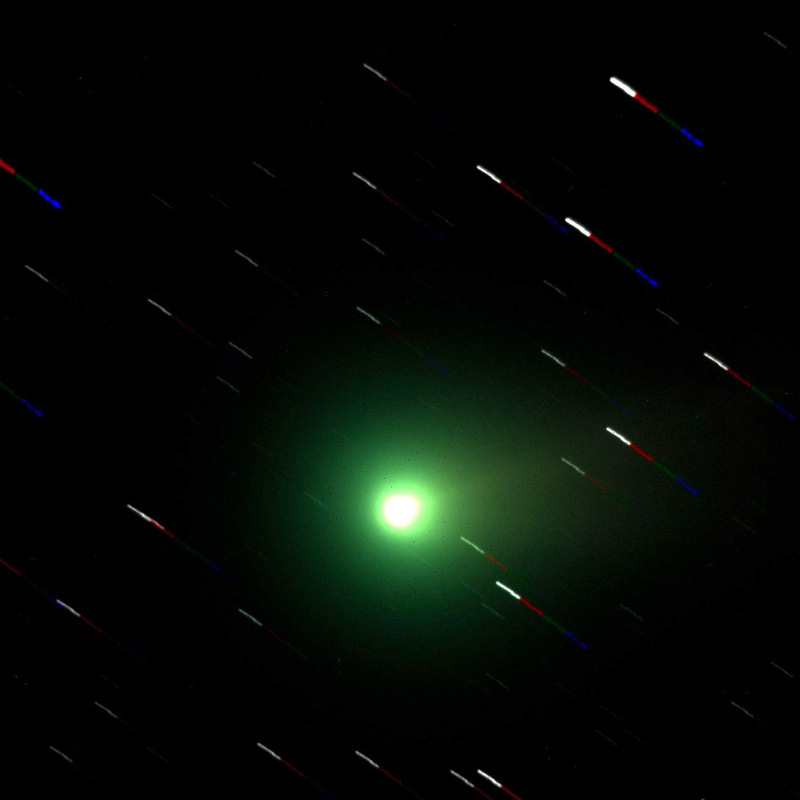 Comet LINEAR (C/2012 X1), Comet Lovejoy (C/2013 R1) and Comet ISON (C/2012 S1). 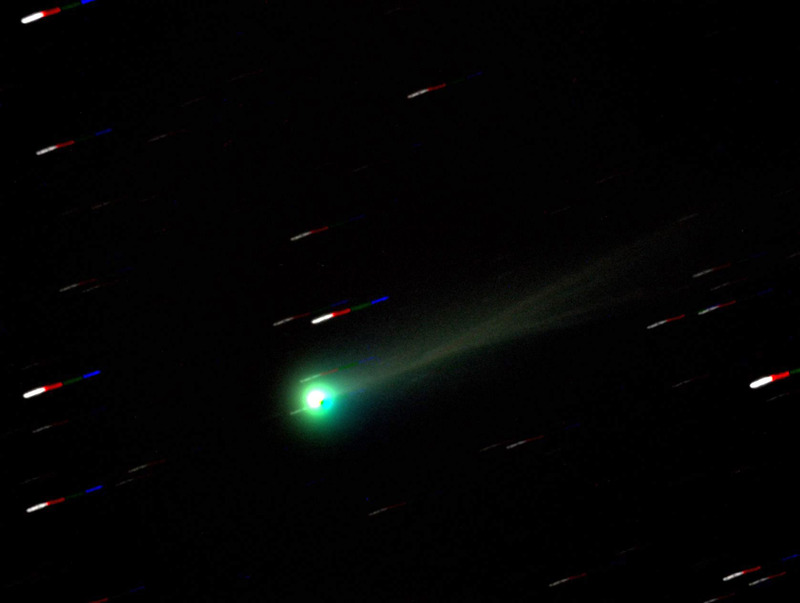 Unfortunately Comet ISON disintegrated during its close encounter with the Sun on Thanksgiving Day, and therefore did not put on a spectacular show in early December as originally hoped for. 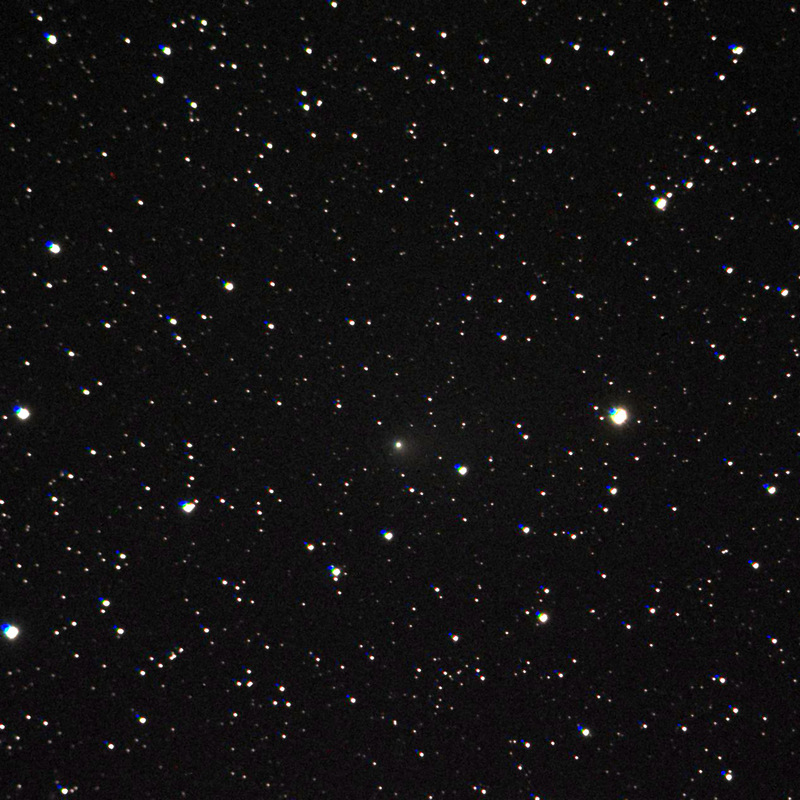 Star trails in the photos are due to tracking the comet’s motion during the exposures. 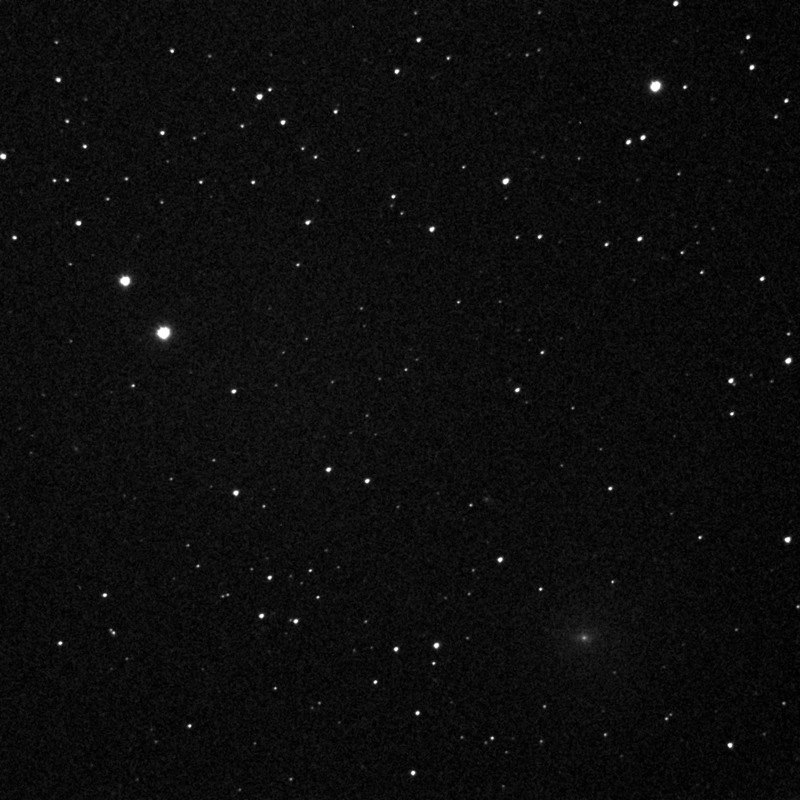 Comet Brewington (154P), Comet Jager (290P) and Comet Boattini (C/2013 V1). 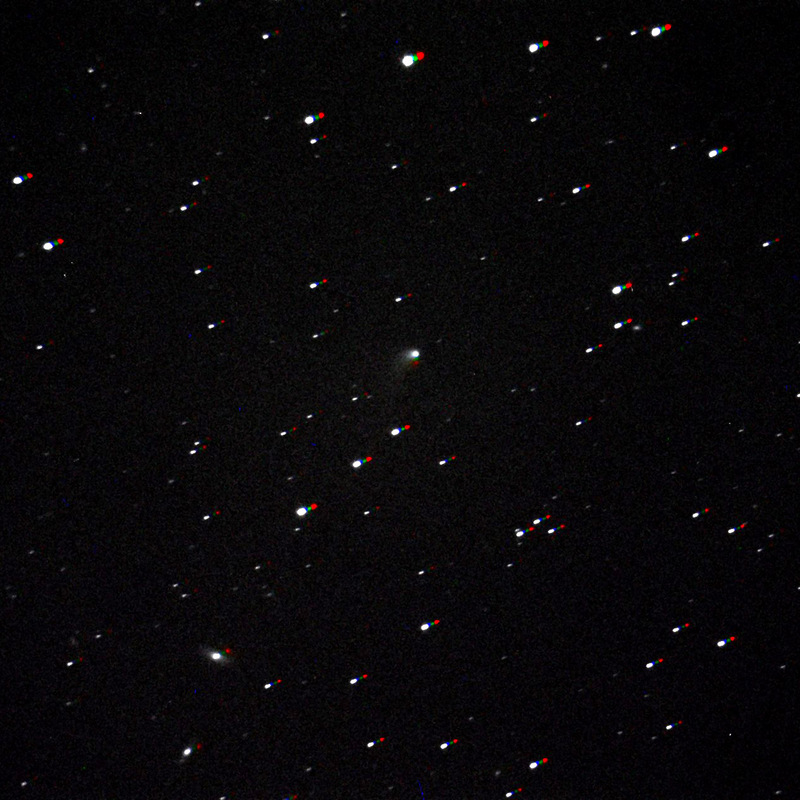 “P” denotes a periodic comet that has a short orbital period (often just a few years) around the Sun.